It is always exciting to see how God speaks to each of us individually and then confirms His word to us corporately. 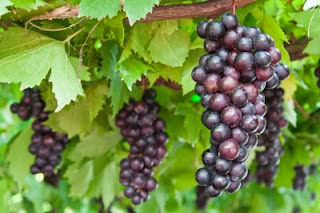 On Sunday some people brought bunches of grapes on the vine, which were also used to decorate our communion table and as we celebrated the Lord's Supper, we were encouraged to discern the Body of Christ before participating in the Lord's table (1 Cor. 11:23-32). The Church is the context for fruitfulness. Christ must be our Source for fruitfulness. We cannot produce fruit unless we remain in Christ and His Word remains in us. For the Word to remain in us we need to receive it, own it, allow it to convict and purify us, and obey it. We have been chosen and appointed to bear lasting fruit. God's vision for the Church is a community of love, set apart and purified, producing the fruit of the Kingdom.